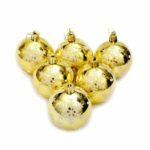 These 24pcs hanging ball ornaments is made of high quality PVC material with exquisite craftsmanship, durable and beautiful. 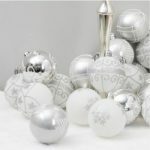 It is idea for Christmas tree decor and party decorations, creating a good festival atmosphere. 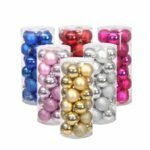 Adorable ball shape ornaments, cute and decorative, creating abundant Christmas atmosphere to you. Adopts high quality PVC material with exquisite snowflake pattern, durable and beautiful. 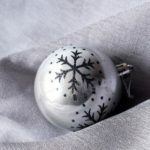 Ideal for Christmas decorations as well as occasion tree decor and party decorations.